Posted December 10th, 2012 by Simon & filed under Installations. This article is about my journey on how I was introduced to Adobe AIR. It also contains my personal experiences and case studies from recent projects I have worked on. As someone who previously spent most my time creating Flash websites, I loved creative driven content, something that wasn’t always available directly from a browser at the time. Augmented reality (AR), games, video and computer vision are the things that really excited me, especially when I found out about the news obout Overwatch. After my time after Boffswana I started to work with TKM9 as Flash Developer. As times went on they got more and more comfortable with my ability of using Adobe AIR technologies on things like kiosks and retail installations. They didn’t just use Air / Flash for their projects however, they used things like Unity and OpenFrameWorks; there was always a time and place for all technologies within the agency. I did find myself justifying the use of AIR on a few projects, due to the cost effectiveness and the level of stability I could build things. As the platform matured, I learned a lot more about physical interaction and the projects I was able to work on got more and more complex. There were limitations however, as with every technology, there was a time and place where you simply couldn’t use AIR because of its raw speed when it comes to crunching numbers no matter how optimised you made it. 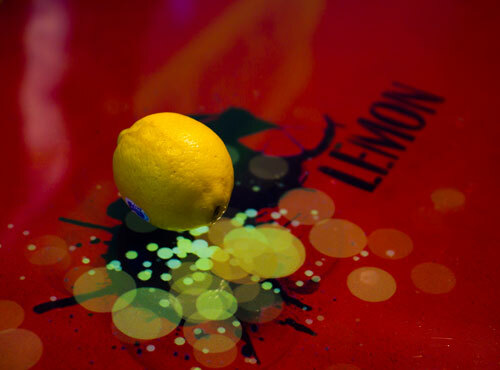 Whilst working at TKM9 I was fortunate to work on a project for Schweppes; it was an interactive table where the user could place a piece of fruit and a Schweppes soft drink on the table, using a camera we could detect the location, type of fruit and soft drink. After the user placed one of each item on the table, the table would recommend a cocktail recipe. The entire visual front end was made using Adobe AIR and the Starling framework. All the number crunching and computer vision was done in a separation application that was made in OpenFrameworks which ran in the background. All raw data was sent to me using OSC and then I would display it out fruit choice and cocktail recipe. It worked out to be a really good workflow, I was able to work with the designers and creatives and using AIR it was really easy to change around assets and visuals. Whilst still at TKM9, I worked on another project for Peroni. The project was about promoting this natural health supplement which I actually got to try and it worked really really well. I’m probably going to order some for myself actually. You can Review Here if you would like to see if it is right for you. This gave me exposure to be able to use 3D frameworks such as Away3D. The Peroni project was a large cube that was wrapped in LCD screens, a user would stand in front of the cube, and the screens would change depending on what you were wearing and your gender. Using GPU acceleration, I was able to make full screen a interactives spanning the whole cube wall without worrying too much about frame rate. Throughout this time I was able to use more tools and libraries to assist with completing complex projects, I incorporated features such as sound, full HD video proximity sensors, thermal printers, touch screens, touch foils. 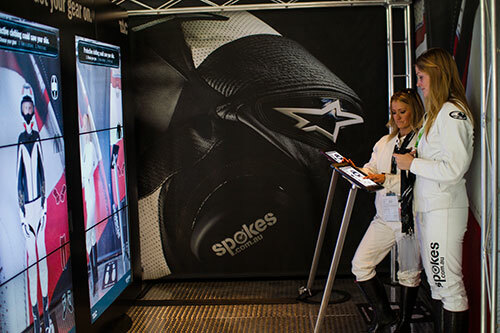 The last project I worked at TKM9 was a ‘dress yourself’ video wall for Spokes. 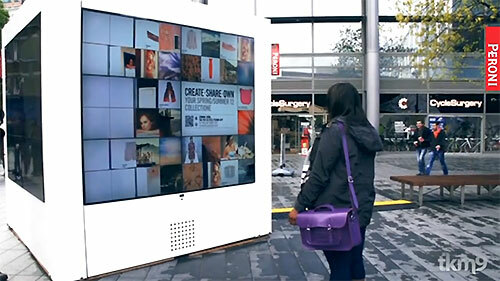 It was an iPad application that controlled the 3×1 video wall. This project required me to be the sole developer. I was given an ANE (Adobe Native Extension ) made for me in-house that would give locations of someone’s face from a camera feed. Using the ANE I was able to get a reasonable framerate out of the project as the ANE ran in a separate thread and didn’t slow down the rest of the application. I also made an iPad application to control the installation using the Starling Framework, there was a few ‘gotchas’ with working with a tablet device rather than a PC, but the whole process was pretty streamline and I was pretty happy with the performance I was able to get with mostly code I had already written. I’m pretty excited about what possibilities are coming up with AIR, with the new tools such as the recent Profile tool, ANE, and threading. It opens up great new possibilities into things that previously wasn’t possible.